Congratulations! 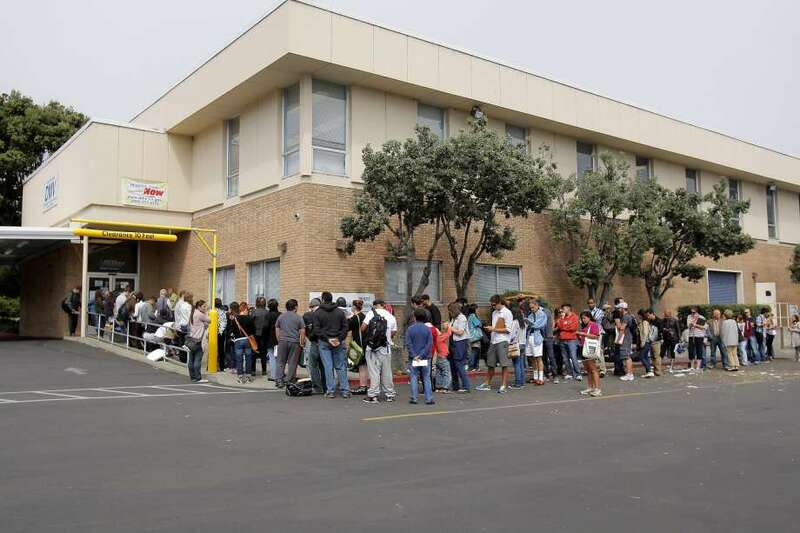 You survived the California DMV in San Francisco. You’ve been up since 8AM to be one of the first to get on that line. You were prepared because you checked out the section with Information For Persons New To California on the California DMV website. You found out even if you don’t have a car, you need to go to the DMV to get a California ID card. Now you’re hungry, thirsty and need a pick me up. This neighborhood feels a little bizarre, you asked and found out you’re facing the Panhandle and now contemplating a walk westward towards Golden Gate Park. But wait, you need to focus, even on a mesmerizing San Francisco blue-sky day. To keep knocking those “just moved” errands off your list you need to fuel up. The California DMV is located in the Western Addition. This neighborhood has an amazing range of food spots that will satisfy any craving or time constraint. It’s also a lot of fun to explore. The locations below are all convenient and part of a compact shopping plaza located directly across the DMV. For coffee and a quick bite, a local favorite is Peet’s Coffee at 310 Broderick Street. If you haven’t had Peet’s Coffee before and are a coffee lover you’re in for a serious treat. Order a coffee and a pastry, grab a table outside and do a little people watching. Near Peet’s is Falletti’s food market, on 308 Broderick Street. Here you can order more than a pastry. Stop in and visit their salad and hot buffet bar. Try one of their amazing sandwiches and treat yourself to a pastry from their bakery section. There are tables indoors and outdoors. Grab a seat and you may find it hard to resist buying extra tasty treats for the road. Nopalito is at 306 Broderick Street. An offshoot of Nopa, located at 560 Divisadero, Nopalito offers freshly prepared organic Mexican dishes. Focused on sustainability, this spot is a very popular neighborhood spot. You’ll be grateful that it’s lunchtime; you can get a seat pretty easily, indoors or outdoors, without the hefty wait time that comes with a dinner seating. The common tie between these three places is that they are all commercial spaces constructed as part of a huge condo project, dating back to 2007. What’s really interesting is that according to Hoodline, this section on Broderick Street was “… the location of the Oak and Broderick Car and Power House, a cable car operation facility that powered much of San Francisco’s public transportation”. Give that a thought while you re-energize, soak in the location and sort out the rest of your day. You may decide to take a stroll towards Golden Gate Park after all. Diana Gaffney is addicted to San Francisco. She’s relocated three times for work opportunities and returned. Her relocations include Boston to San Francisco, San Francisco to London (returning to San Francisco after six years – culture shock!). Most recently she left San Francisco for Las Vegas, returning to her City by the Bay after a two-year stint in the desert. She loves recommendations and heard How to Write Short: Word Craft for Fast Times by Roy Peter Clark is a great read. Her brain is now consuming his work. Diana is a lifetime team player, loves research and writing and never gets bored in San Francisco. She is known for being a great tour guide when she has out of town visitors and offers awesome recommendations for all sorts of visitor whims.